More avenging than your body has room for. The LEGO games, though somewhat simplistic, are often packed to the absolute brim with content to explore and unlock. They're sort of like if someone dumped every similarly themed LEGO set possible into your living room, except without all the harrowing foot injuries. "Captain Marvel Character & Level Pack"
After an exploding alien machine grants her amazing super powers, Carol Danvers became the interstellar Super Hero known as Captain Marvel! Now, when arch-enemies reappear in her life, it’s up to Captain Marvel to save the city of New York. This pack features eight playable characters, a new vehicle, and one new level. "The Masters of Evil Character & Level Pack"
Baron Zemo and his Masters of Evil are up to no good when they attempt to lure out the Avengers and defeat them in this re-telling of the classic 1963 comic book adventure. This pack features 11 playable characters and one new level. "Black Panther Character & Level Pack"
In a re-telling of T’Challa’s origin story, Black Panther and his sister Shuri must evade the chaos of an invasion of their home country Wakanda and save their mother from the clutches of the villainous Klaw. This pack features nine playable characters, one new vehicle, and one new level. "Doctor Strange Character & Level Pack"
Sorcerer Supreme Doctor Strange and his powerful ally Clea must travel to the Dark Dimension and fend off the villainous Mordo and Dormammu. This pack features eight playable characters and one new level. "Marvel’s Agents of S.H.I.E.L.D. Character & Level Pack"
The team finds itself in a dangerous position after failing to make peace with the enigmatic Inhumans. The Inhumans have now occupied the S.H.I.E.L.D. Helicarrier and it’s up to the Agents of S.H.I.E.L.D. to neutralize the threat and uncover the secrets of Afterlife. This pack features 13 playable characters, one new vehicle, and one new level. That's an absolutely insane amount of characters. Granted, I can probably count on one hand the amount of times I'd be tempted to take out baddies as Wonder Man, but I certainly can't argue against those who are. 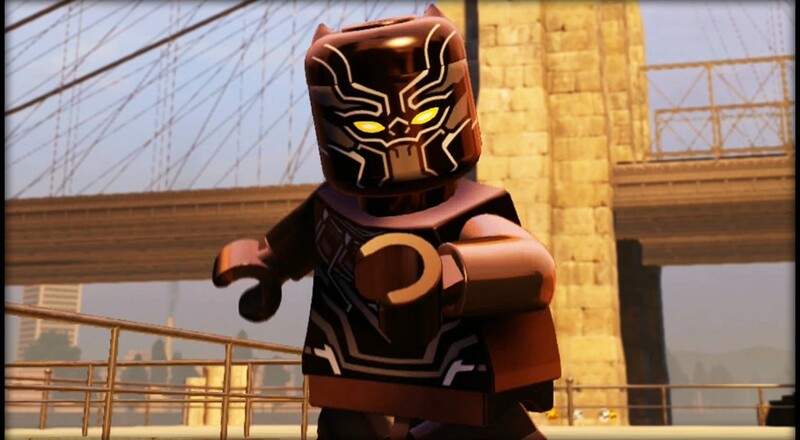 Featuring two player local co-op, LEGO Marvel's Avengers is the freshest of the LEGO licensed series to hit the streets, and before too long, it'll probably feature just about every Marvel character in existence, even Asbestos Lady. Page created in 0.6131 seconds.